Comrades champion Bongmusa Mthembu and ultra-marathon star Lisa Collett raced to emphatic victories in scorching heat in the Sani Stagger at the weekend. 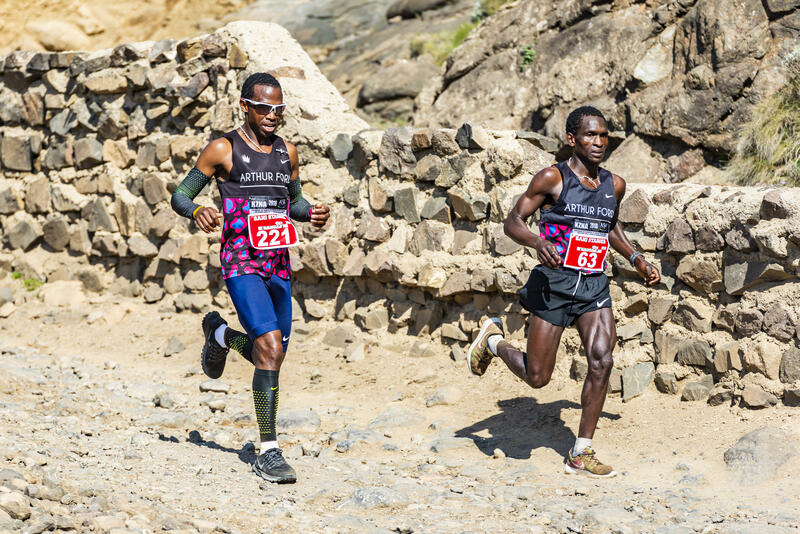 Mthembu, who has back-to-back Comrades titles in his CV, erased the memory of his second-place finish to Nkosinathi Duma last year by tearing away on the downward return leg from the top of Sani Pass to win by almost four minutes from Duma, with Phillip Shezi taking third. Mthembu ran a measured race on the tough ascent from the Premier Resort Sani Pass Hotel to the top of Sani Pass where he turned in second place. ‘This race is all about mentality,’ he explained. ‘You can’t rush going up, so I took it easy and kept about 10 metres behind Nathi. ‘I took him very quickly on the way down. While we are training mates, in a race I want him to know that Bongmusa is a champion,’ he said. He said that the Sani Stagger results were a good omen for the Arthur Ford team going into Comrades 2019. 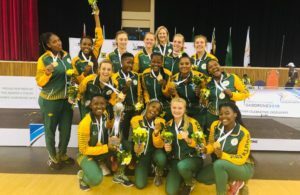 ‘We are looking to achieve more in Comrades this year and win the team prize,’ said Mthembu. 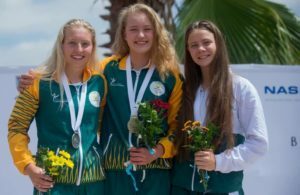 In the women’s race Collett, back from representing SA at the 100km world championships, was imperious as she cantered home to beat defending champion Natasha Malan by 25 minutes. The win was encouraging for Collett, who came off a tough Bluff marathon and was a debutant on the gruelling run-up and down Sani Pass. ‘It was tough but really beautiful,’ Collett said. ‘I was worried that having done a tough marathon six days ago it might come back and bite me, but I really enjoyed the stagger today, maybe using a different group of muscles. ‘I couldn’t get to the top before the 21km race started so I had to plough through them on the way up and then plough through them again on the way down,’ she added. ‘It was so nice being back together with Mthembu and Duma. I haven’t seen them since we got back from overseas. We have special nicknames for each other, and because it was an up-and-down race we were screaming support to each other,’ she added. The 21km half marathon, raced from the top of Sani Pass down to the Premier Resort Sani Pass Hotel was convincingly won by Solicitor Manduwa, with Lovemore Chabata and Minenhle Ngcobo distant second and third respectively. Hillcrest stalwart Alison Wasserfall added another Sani Stagger 21km title to her impressive CV. She coasted home across the golf course to the finish with no sign of second-placed Jeanette Jordan or third-placed Pierrel Marie-Agnes in sight. The new 38km and 21km trails were well supported and provided an exciting new dimension to the iconic Sani Stagger weekend, where the 42km and 21km runs both sold out quickly.